A large sombrero with elegant, graceful lines makes for a wonderful photo, but the overhead sun often leaves the subject’s face lost in deep shadow. For the longest time, I had avoided taking photos in this kind of situation. But in these particular photos, a silhouetted face is the point. 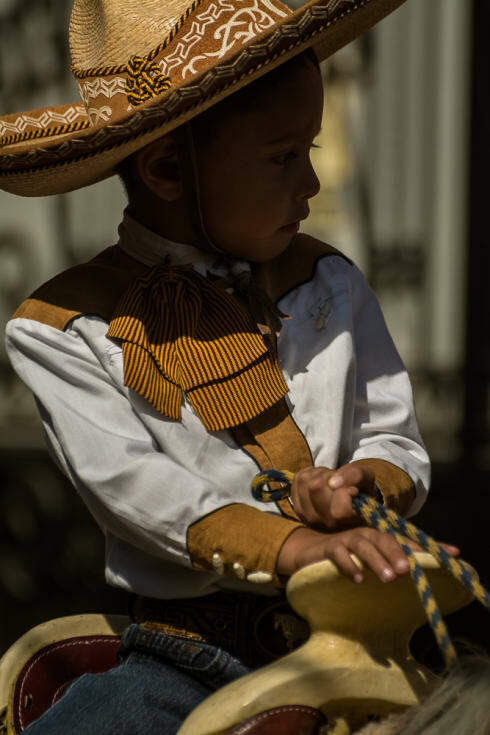 A little cowboy on Revolution Day in Ajijic, Jalisco, Mexico. Gaby Gucho, the queen of the 2016 Association of Charros Ajijic, rides during the Independence Day parade in Ajijic, Jalisco, Mexico. 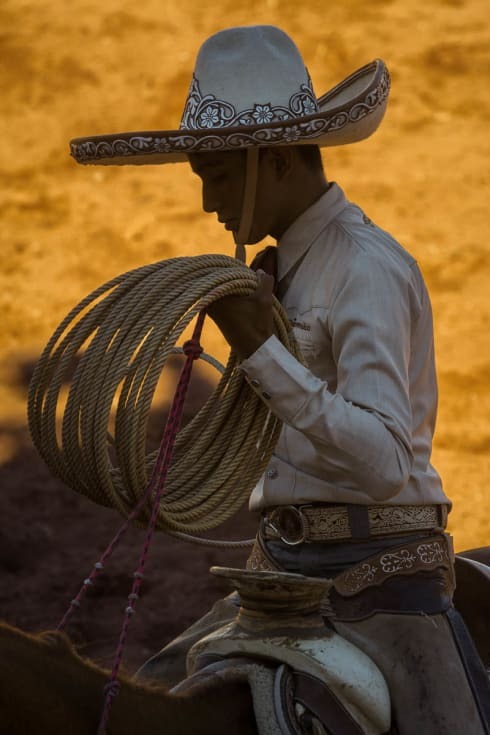 A cowboy demonstrates his roping skills on the Day of the Cowboy in Ajijic, Mexico. A cowboy on Revolution Day in Ajijic, Mexico. An escaramuza cowgirl during the Independence Day parade in Ajijic, Jalisco. 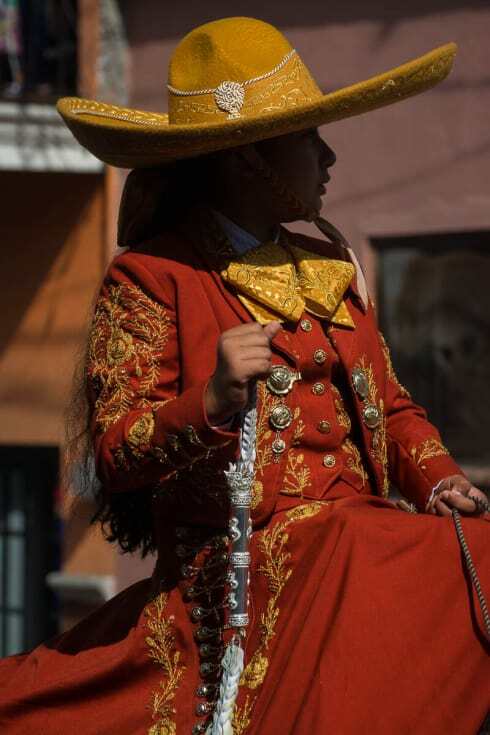 An escaramuza cowgirl during the Day of the Cowboy parade in Ajijic, Mexico. A cowboy on Revolution Day in Ajijic, Jalisco. A cowboy and horse trainer instructs his horse to dance during the Revolution Day parade in Ajijic, Jalisco, Mexico. A cowboy on the Day of the Cowboy in Ajijic, Mexico. A cowboy during one of the many pre-Carnaval parades in Ajijic, Mexico.